With 30% of homeless Australians born overseas, data tells us that a lack of information and support makes CALD communities much more vulnerable to experiencing problems associated with housing including legal issues and homelessness. Recently, it was found that 2, 000 homeless persons in Victoria speak English ‘not well’ or ‘not at all’. The “Preventing Homelessness in Older CALD Communities” project also found that there was a need for translated resources to improve access to services. The Health Translations Directory was developed as a response to such challenges. The Directory, funded by the Victorian Government, is an online library, which has over 14, 000 reliable, up to date translated health and wellbeing resources (both print and audio-visual) in over 100 languages. It is used by health professionals, community workers and culturally and linguistically diverse communities across Australia. Due to the success of the Directory, which has close to 600 unique visitors daily, we are now expanding this valuable resource to include new topics such as disability, mental health, family services and housing. 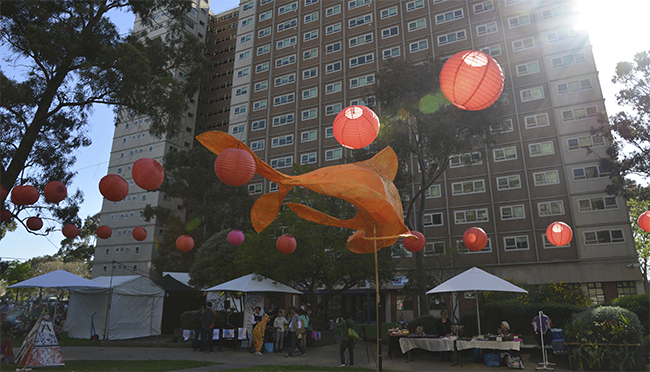 Housing has been recognised by refugee advocates as a priority issue in successful settlement. Access to information about housing options, services and supports is therefore critical in assisting communities to settle more effectively. The Directory has already collected translated resources on a range of housing related topics including: how to apply for a bond loan, information on housing services and public housing and how to start and end a tenancy. Community workers can use the Directory to facilitate communication and to support their clients’ information needs. The Directory is easy to use – you can search for housing and other human services resources by key word, topic, language and by organisation. To continue to effectively expand and promote the Directory, we need your help. Please contact us if your organisation has produced translated housing information or if you know of any translated resources that should be shared. We would also love to hear from you if you believe there is a need for translated information about your services and initiatives or a particular housing issue. Similarly, we can support you in developing your own translated resources. Most importantly, we seek your support to help promote the Health Translations Directory and the benefits of translated resources amongst your colleagues, other housing services, networks and your clients and local communities. Ultimately, we want to reach as many CALD communities as possible through the housing sector and the housing workforce is a critical conduit.